By the time you come to clean your teeth, your mouth is already a marauding cesspool of bacteria. The last thing you want to be doing is putting a toothbrush loaded with even more bacteria straight in your mouth. Here's the easy way to keep your toothbrush hygienic. So just like any other household cleaning tool, you need to keep your toothbrush clean too! To ensure that bacteria are killed on your toothbrush, science has come up with some novel cleaning products. With ultraviolet (UV) sanitizers proving to be one of the most convenient to use. If you just want to dive in and grab the best product for the job, then you really can't go wrong with the ones below. Or if you want to understand a bit more about how they work, jump to the explanation below. We've provided one top product review for each of the main category of these products - a comprehensive home use package, a dedicated UV unit plus a convenient travel unit. Not only is this a 2 pack bundle of one of the best electric toothbrushes on the market (that's 2 handles -- not just 2 heads and hassle swapping! ), it also includes 2 travel caps, 2 travel hard cases and a travel charger. The UV sanitizer is built into the base unit. This brush uses Philips flagship sonic cleaning system which claims to remove up to 100% more staining, and 7x more plaque than a normal toothbrush. It's been shown to improve gum health in just 2 weeks. Users even say the UV sanitizer makes a noticeable difference. Find this on Amazon here. There is also a single handle version here. This mini-cabinet is big enough for up to 5 toothbrushes or toothbrush heads. Or swap one of those and you can put your razor in here too! You can power it by either batteries (4 x AA) or using the included AC adapter. You can use it on a counter, but it is much better attached to a wall (make sure you mount it properly level for the door to work correctly). 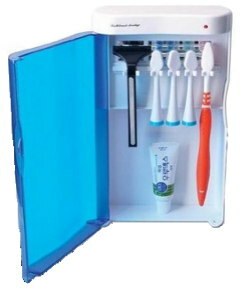 The UV light is switched on automatically on closing the door, so as soon as you return your toothbrush it gets zapped. Then the light also automatically activates every 6 hours through the day too. It only runs for 9 minutes each time though so it uses the tiniest amount of electricity - and the UV bulb is rated for 20,000 hours too, so that's a lot of 9 minute cycles! Find this on Amazon here. There are a number of 'travel case' style units, but this one is much better made than most of them. It's also FDA registered. Note: this works well for both electric brush heads as well as regular toothbrushes. It's designed to be for travel purposes, but you can of course use it at home too - it's got little feet that mean it doesn't slide around so won't easily get knocked off the counter top. As a travel unit it runs only from batteries (2 x AAA). The UV treatment starts as soon as you close the case and runs for about 5 to 6 minutes. You should get at least a months use out of 1 set of even average batteries. The sanitizer reviews above will suit almost everyone. But there is one other option that a lot of people like too. The Steripod toothbrush sanitizer (get them here) - which is a totally different approach. There is no UV light, no batteries, just a little 'pod' that you clip onto the head of your brush after using it. This works 2 ways - firstly by covering your brush head to keep germs away from it, and second by using various essential oils known for killing bugs (e.g. tea tree, clove, peppermint). These are designed to be disposable however, so you are supposed to replace them every 3 months. It's not my personal choice, but a lot of people swear by these. They cost around $4 each RRP but you can get multi-packs, which can bring the price down a lot. Unfortunately despite being quite well known, the Violife Zapi Luxe UV toothbrush sanitizer range is currently one to avoid. They have proven to be very unreliable and to fail quickly despite being a lot more expensive than the models above. It seems they went for cute over quality. Hopefully they will fix the problems and come back with a better model. So How Do UV Toothbrush Cleaners Work? Unlike other methods of cleaning toothbrushes, UV sanitizers have research1 to shown they are effective. And dental journals agree that they do work well at killing bacteria. So, UV toothbrush cleaners produce UltraViolet light (hence the name) which kills the bacteria sitting on your toothbrush. The UV rays destroy the nucleic acids in the bacteria disrupting their DNA. This leaves pathogens unable to reproduce or function properly so they die out. What's The Difference Between 'Clean' And 'Sanitized'? Simply put, clean means you can't see dirt, debris or residue with your eye. Sanitised means germ free too. Most people give their toothbrush a rinse and put it away 'clean'. Practically nobody dries their brush. But a simple rinse doesn't remove all traces of bacteria anyway, and a damp toothbrush is a fantastic breeding ground for bacteria to spend all night long multiplying. So by morning, your toothbrush still looks clean - but it's far from sanitary. What About This 99.9% Thing? It's complicated! There is basically a legal difference between sanitization and sterilization. Sanitized is that 99.9% figure, whereas sterilized means 100%. The difference in reality, to a great degree at least, comes down to complexities of testing and probably also a fear from manufacturers of not being sued. How do you prove 100% eradication of all types of bacteria? That means you have to have tests that reliably cover all possible forms! Which is totally impractical. So in real life a 99% reduction is of course perfectly fine and is exactly what we're looking for. It's possible these products could be 'sterilizing' your toothbrush - you just won't find manufacturers claiming it is. The UV cleaners will do most of the work for you in ensuring that harmful microorganisms are terminated. However, to give them a chance of working to their best, there are a few things you can do to help them out. These things are even more important if you don't UV treat your brush. Avoid sharing toothbrushes. Shared toothbrushes can result in exchange of body fluids and microorganisms. This will put you at a high risk of contracting infections. Remove any remaining toothpaste/debris from your brush using tap water after brushing. Then store upright so moisture can drain away. Keep brushes from touching each other when stored. This prevents migration of germs from one toothbrush to the next. Avoid storing brushes in moist containers. A moist environment is ideal for breeding of bacteria. 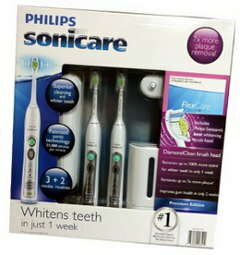 Get new toothbrushes every 3 or 4 months. Keep your toothbrush away from the toilet. Most people will often place their brushes by the toilet. 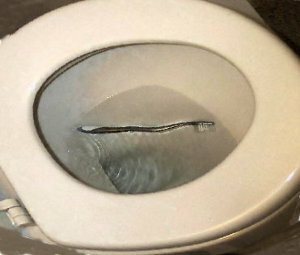 It has been found that some bacteria become airborne during flushing. You don't want that on your brush! Are Other Brush Cleaning Methods Effective? Dental scientists have recommended the use of microwave ovens, dishwashers, mouthwash or even white vinegar to clean toothbrushes. Microwaves and dishwashers are pretty effective at killing bacteria. For instance, the microwave produces radiation while the dishwasher uses soap and hot water to get the job done. Similarly soaking your brush in mouthwash or white vinegar will help. As will rubbing just one drop of Dental Pro 7 into the bristles of your brush. But the biggest problem with all these techniques is that you will forget to do it - because it's a major hassle to remember to put your toothbrush in the microwave twice a day! And recover it when you want to clean your teeth. So it simply doesn't get done. Instead, putting your toothbrush back where it is always kept (in the UV unit where it automatically gets treated) is a total no-brainer in comparison.